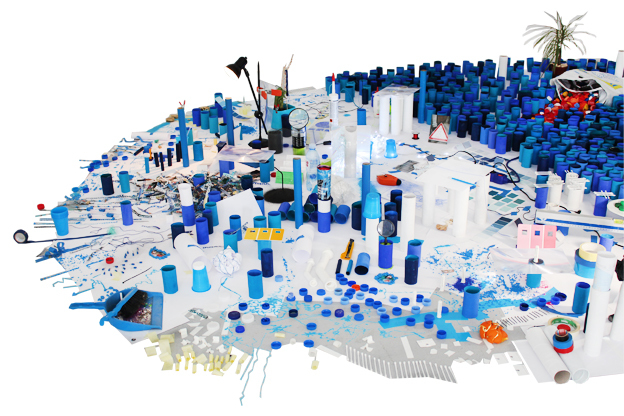 Tour Natasa Galecic‘s installation on view at VisArts’ Common Ground Gallery (June 5 – August 11), then create your own CITYLAND by learning about the forms and processes that create an urban landscape. Participants in this workshop will choose an area of a classroom for their one time, site-specific installation using recycled materials, and found objects. Participants are encouraged to bring their own disposable materials (including recycled and found objects) to add to their installation and cameras to document their installation process.